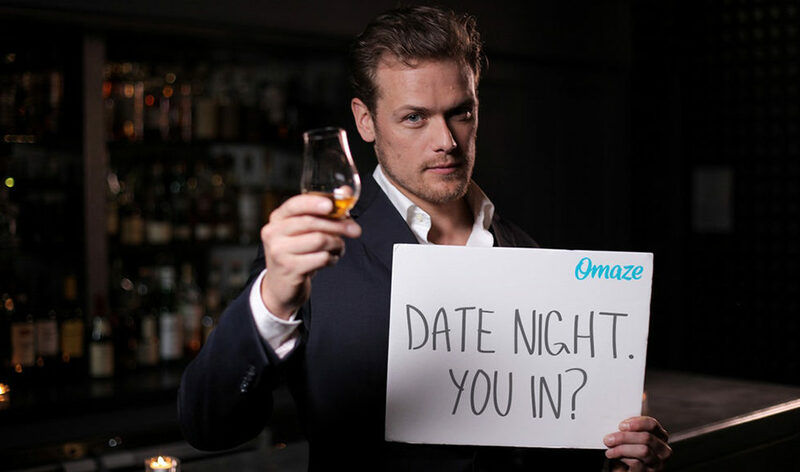 Outlander star Sam Heughan is offering fans the chance to be his Sassenach for the Night in Scotland. The Edinburgh actor – who discusses his life with Scottish Field HERE – is organising an online raffle in aid of his charity My Peak Challenge. My Peak Challenge is a global movement dedicated to educating and inspiring its members to live healthier, happier and more balanced lives while raising funds to change lives. Outlander follows the story of Claire Randall (played by Caitriona Balfe), a married English combat nurse from 1945 who, while on her second honeymoon in Inverness, is mysteriously swept back in time to the 18th-century Scottish Highlands. There she meets Jamie (played by Sam Heughan), a chivalrous young warrior, with whom she becomes romantically entwined. There are various levels of entry at which his fans can take part, ranging from $10 to $5000, where they can get to know Outlander’s Jamie Fraser in real life. Already, 10,000 entries to win which included an autographed photo have already sold out. Perks include a signed Outlander script. Sam’s going to pick the winner up in a horse-drawn carriage and whisk you away to a gorgeous Scotland castle, where you’ll get to know each other over fine whisky (or the drink of your choice) and intimate conversation. After a wee dram or two, Sam will take them into the ballroom for the annual My Peak Challenge gala to celebrate the night away together. Flights and hotel are included in the prize. The funds benefit My Peak Challenge. Entrants’generosity will go toward My Peak Challenge’s chosen charities for 2018: Bloodwise and Marie Curie. Bloodwise works to beat blood cancer and support those living with it, while Marie Curie provides hands-on care to terminally ill patients and their families. Click HERE to support a great cause.